DCI Vera Stanhope can be difficult to like. We gain a little more insight into what makes her so prickly in Vera: Set 2, a collection of 4 new episodes featuring the wonderful Brenda Blethyn as the tough female cop. DCI Stanhope is joined in her sleuthing by her hunky DS Joe Ashworth (played by David Leon) who is married and has some domestic strife of his own. 1. The Ghost Position: Vera's first superior officer has been injured while rescuing his daughter from their burning house after it has been firebombed. Soon after this, another inexplicable tragedy occurs. Vera learns some shocking things about her former colleague as she attempts to sort out what happened. 2. Silent Voices: A beloved social worker is murdered while swimming in a local beauty spot. Since her computer was stolen shortly before she died, could the killer have been trying to stop the publication of a book about an infamous child killer? Vera and Joe look into the social worker's private and professional life to get to the truth. 3. Sandancers: A local army base is the site of an apparent suicide that turns out to be murder. The victim and his unit had recently returned from a tragic tour of Afghanistan where one of their members was killed by an IED. Was this wartime death an unfortunate accident, the result of negligence, or something more sinister? 4. A Certain Samaritan: A girl passing by a bridge on a night bus thinks she sees someone being pushed over the edge of the bridge. The police respond, but where's the body? 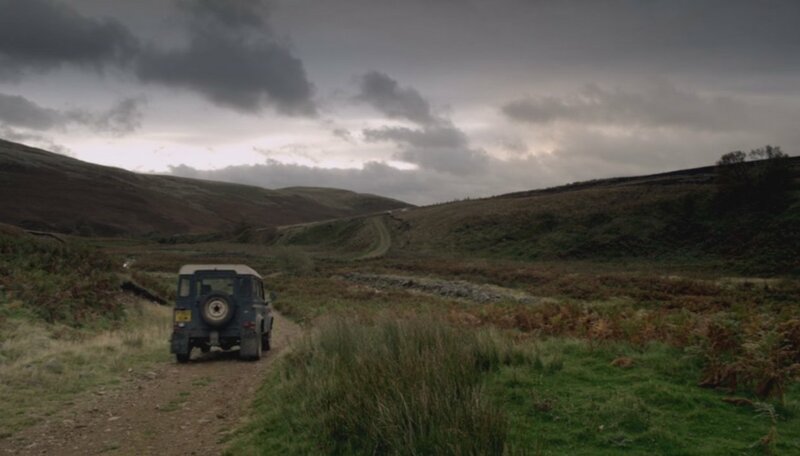 When an unidentified body does turn up, miles away, it's up to Vera to figure out who the victim is and how he got so far away from the site of the crime. There are several other recurring characters who make Vera very enjoyable. Poor Kenny, an apparently competent officer, is given all the unpleasant and thankless tasks around the station. Billy, the medical examiner, fancies himself as something of a ladies' man and is always ready with a joke. The young female detectives, Holly and Bethany, try to avoid Vera's sharp tongue while being part of the team. I found the series very entertaining. Vera is such a complex character -- prickly and explosive one minute, vulnerable and compassionate the next. I really like that she is so unpredictable. We also get some idea as to why she is the way she is (some hints about a former relationship and her difficult relationship with her father) as well as some possible things that might be revealed in the upcoming season 3 (a previously unknown family member, perhaps?). 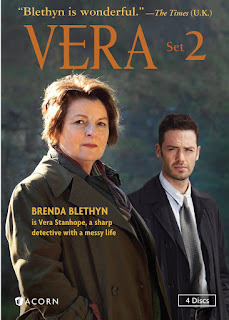 All in all, Vera is a wonderful series with enjoyable characters. I look forward to spending more time in Northumberland!